TOLEDO, Ohio – It’s the most wonderful time of the year at your Zoo! Enjoy the Zoo for Lights — then spend the night! This overnight experience features up-close encounters with animals, special talks by Zoo staff, evening cookies and cocoa and a continental breakfast. For more overnight information, please visit toledozoo.org/snooze. Need some kid-free time to make returns or just cure that cabin fever? Drop off your child at the Zoo from 9a.m. – 3 p.m. for a winter adventure that promises exciting exhibit tours, amazing animal visitors, cool crafts and goofy games. Separate fee; member discount applies. 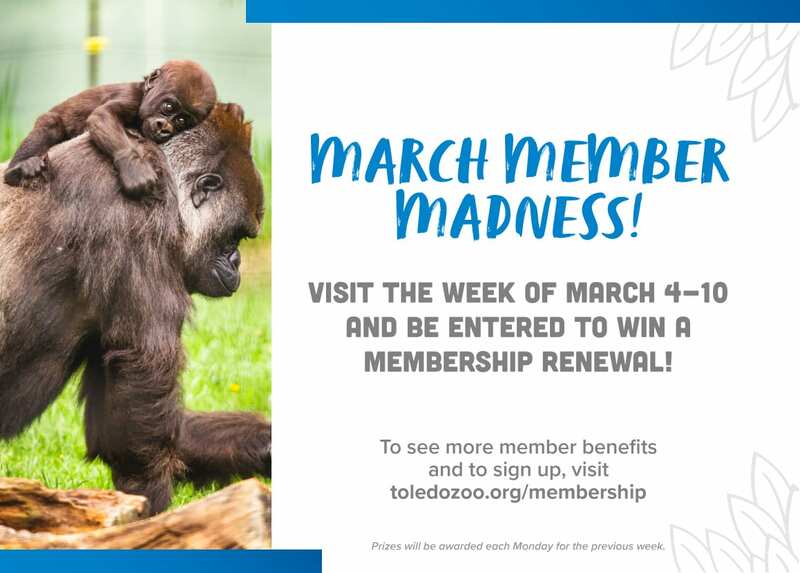 For full details and online registration, please visit toledozoo.org/camps.